God makes a very clear point by comparing sin with leaven. Leaven is the ancient version of yeast. Like yeast, sin often seems like a small thing when you start out embracing it. But due to its very nature, it always changes you in a big way. It leaves you very different than when you started. 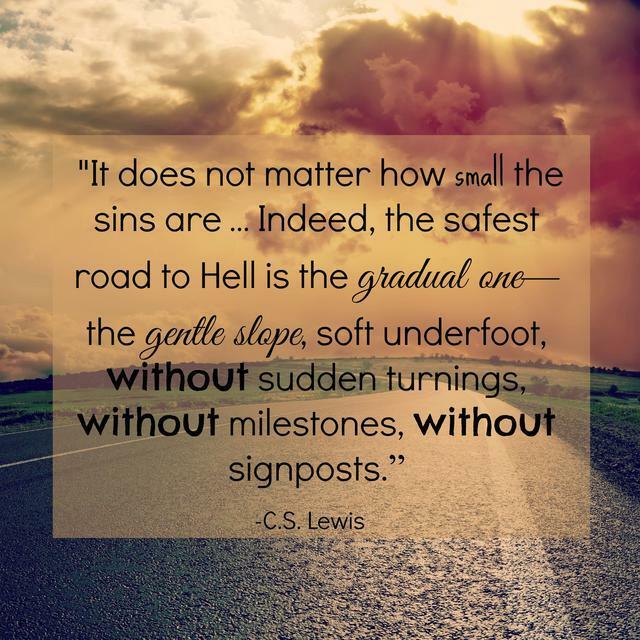 It also only takes the smallest bit of sin left alone to start changing a life. Sin is like leaven. It always changes us. If you have ever baked bread, you are familiar with yeast. It is the small oval-shaped granules that you add to dough. Its purpose is to get the bread to take shape into the loaf that we commonly eat. It is the difference between light fluffy white bread and flat heavy matzoh. Yeast works by taking sugars that are naturally present in the dough and changing them. The sugars get consumed by the yeast and processed into carbon dioxide and alcohol. The result is that after yeast works on a batch of dough, it is transformed into something much different. It is much larger and lighter than the heavy gloppy ball of flour and water that started out. The dough has been totally transformed from what it had been by the action of a few small granules. Without yeast, the loaf of wonderful French bread would be more suitable for holding open doors than eating. The thing about a grain of yeast is that it is really small and innocuous looking. It looks almost like a tiny wheat grain. Its small size is deceiving. Each grain of yeast is extremely powerful. The results of adding yeast are much greater than its size. It is also self-replicating. As long as the yeast has a food source available, it will continue to work and continue to produce more yeast. As a result, a very small amount of yeast will always alter a much larger batch of dough. A few pinches will always cause a reaction no matter how big the batch of dough. Due to its very nature, those few grains of yeast will eventually multiply, spread and infect everything it is in contact with. Allowed to grow uninhibited, it will eventually affect even the biggest bowl of dough. If you have seen a lumpy loaf of bread rise you can understand the picture. Blowing up a raft is a similar process as it starts to rise after initially appearing to do very little and all of a sudden it is completely filled with air. If it is allowed to remain in you, sin has very similar characteristics. It doesn’t take much sin to infect the whole body. Sin will always grow and multiply greater than you expect it to. By its nature, it spreads out, ferments and grows into everything it comes into contact with. It also takes what is naturally present in you, both good and bad, and feeds off it for its own purposes. It turns gifts God has given us to work in His name into ways to indulge our vices. Sin is self-replicating as well. The more you embrace one sinful behavior, the more it will change other parts of your life and character. In 1 Corinthians 5, Paul addresses the church in Corinth specifically about the sexual sin of one of its members. A man is evidently carrying on a sexual affair with either his stepmother (ew!) or his mother (double ew!) depending on how you read the Greek word used to describe the woman. Everyone inside and outside of the church knows about the problem. They are doing nothing about it. Even worse, rather than being saddened by the clearly sinful actions of their brother in Christ, the Corinthian church is patting themselves on the back. They are proud that they are keeping the brother with them. They think they are sophisticated and tolerant for accepting this fellow and overlooking his sin. While the conduct of the man itself is bad, it is actually the attitude of the church in response that has Paul so upset. They are allowing yeast to remain among the dough of their church. They then act surprised that there is an ongoing reaction. Reading the two letters to Corinthians in the Bible, you see that church is filled with problems. Paul addresses all the ways that their church has been twisted by the sin that has been allowed to dwell among them. They are suing each other, drinking at Communion, having affairs and all other sorts of illicit behavior. This is the yeast fully at work among them and its impact is growing. It starts with a little bit of unrepentant sin in one person added to the mix. Before they know it, it has spread and the dough has been completely transformed. Sin is never satisfied to stay with one person and one area of their life. You can never, ever accept sin and not be affected by it. You cannot keep sin in a box – it is like the leaven. As long as sin is kept around it will always grow and spread. It always affects everything it touches. 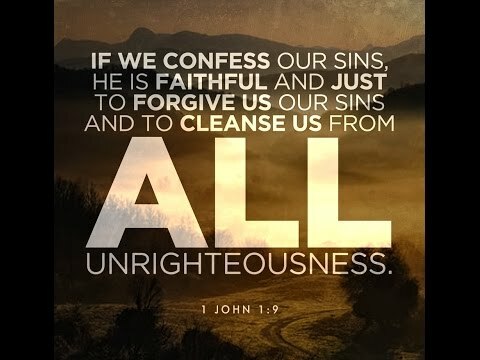 The great news is if you confess your sins, God shows His great mercy and forgiveness and cleanses out all of the grains of yeast that are waiting to infect you. He washes you clean. His mercy and grace are never challenged by sin. They are new every morning. The problem is if you refuse that mercy and claim to be doing okay when your life is overrun. The sin grows and twists until there is nothing good left to feed on. Satan lives to steal, kill and destroy. Solomon presented a similar picture in Song of Solomon. He describes life as a vineyard and the sins that we tolerate in this life as little foxes. These are the overlooked attacks on the vineyard that are allowed to run amok. 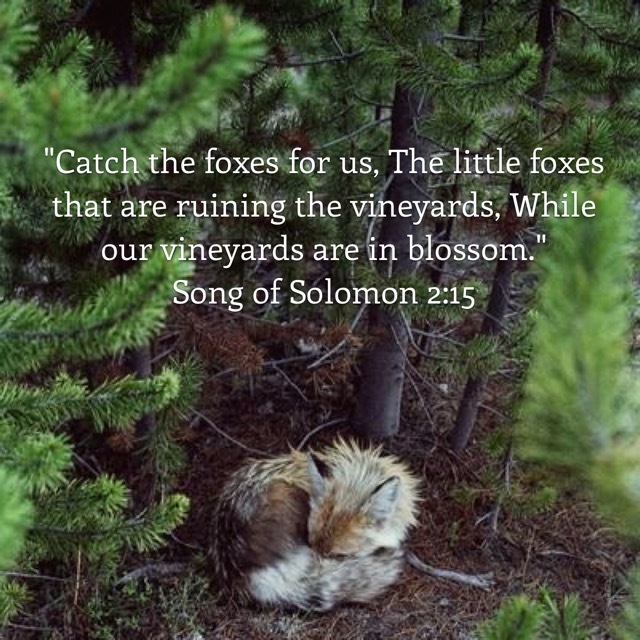 Over time, those little foxes that seem so little and even cute, destroy the much larger vineyard. What is the antidote? How do you avoid the leaven taking hold and affecting the rest of the loaf? God’s picture for us is very clear. Sin cannot be welcomed without a cost in our lives. That sin will always have some effect no matter how “little” we claim it is. This impact will grow as long as we continue to tolerate the sin. It is not that we do not sin or love those that do. It is that we never surrender to it or accept it as normal or inconsequential. We can never just say “Everyone is doing it”. Our choice is therefore very simple as well. 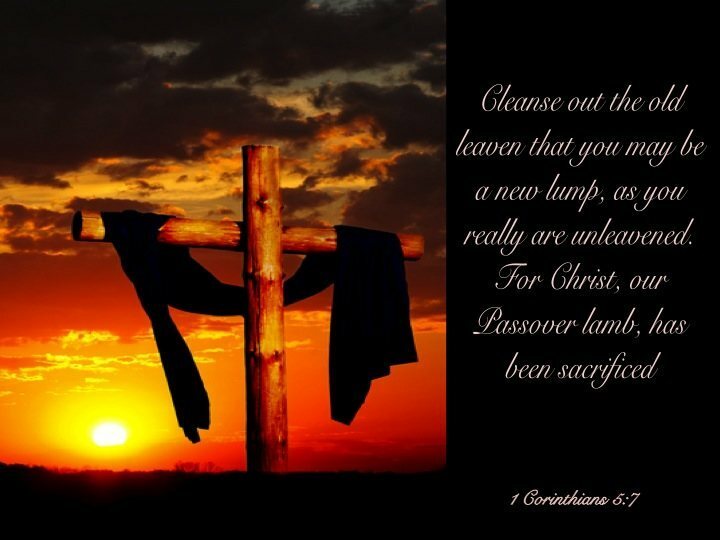 If we wish to have a holy life that is dedicated to God as He intends, ruthlessly purge the leaven. Drive away the little foxes from our lives. Then we can truly enjoy the abundance of the vineyard as God intends us to.